Luxury living. Fishing and hunting beyond compare. Peace and solitude. All of this and more are yours at The Stoneman Lodge at Elk Creek Ranch. 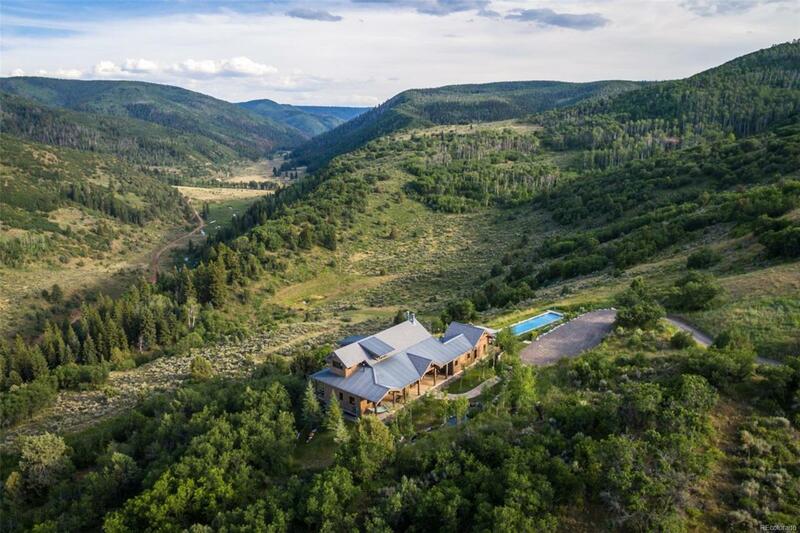 Approximately 15 miles east of Meeker, CO, this exquisite home sits perched overlooking the Elk Creek drainage and White River Valley. The world-class ranch amenities just outside your door are rivaled only by the stunning setting for this home. Thought given to every detail, the open living room and kitchen flow effortlessly out to the covered porch, overlooking the pool on both sides of the towering fireplace. The master suite is a true retreat, with brilliant access to the pool and a lovely shaded porch. The lofted office/bedroom space fills with light from the living room below. The lower level of the home offers a comfortable space for guests or family, including family room and en suite bedroom. Fully furnished, with blueprints for guest apt. and garage. Owners get exclusive access to the main lodge & cabins at Elk River Ranch Village.